Additional Description: Looking from the southwest wall of the Mumma Cemetery toward the modern Visitor Center. Battery F deployed across the front here facing to the southwest at around 1 p.m. The Dunkard Church and West Woods are beyond the New York monument (on the distant right). 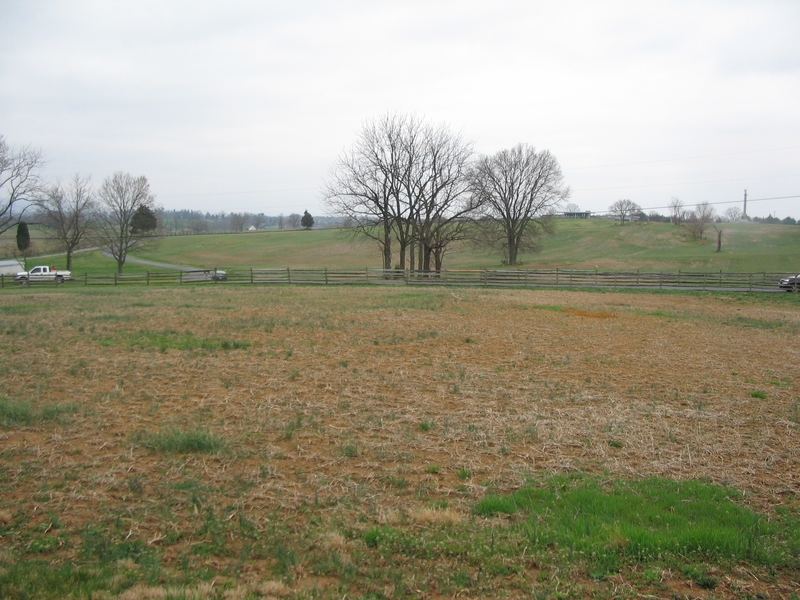 Some of the buildings of the Piper Farm are seen on the left beyond the Sunken Road. The battery was in position to face two of the more active sectors of the battlefield. Submitted: August 3, 2008, by Craig Swain of Leesburg, Virginia.